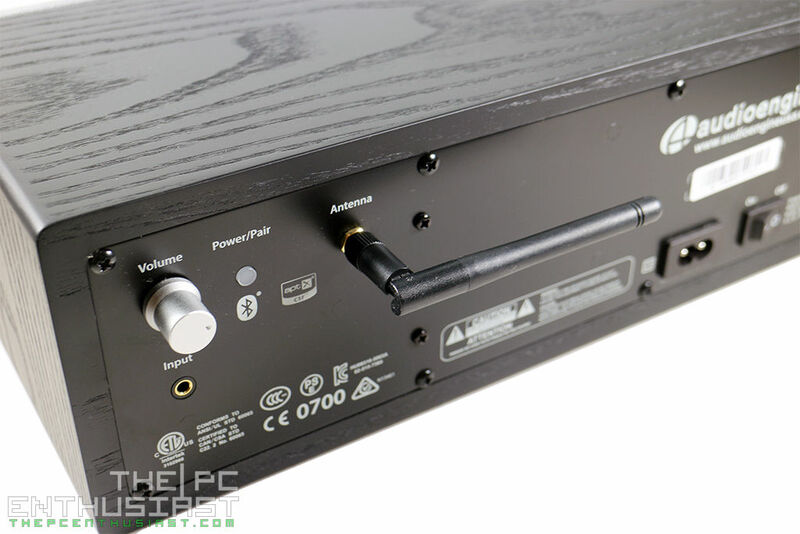 A few months ago we have published our review on the Audioengine B1, a Bluetooth music receiver that can be connected to a speaker for streaming audio wirelessly. But what if the B1 is combined with a speaker so that you can directly stream audio to the speaker? 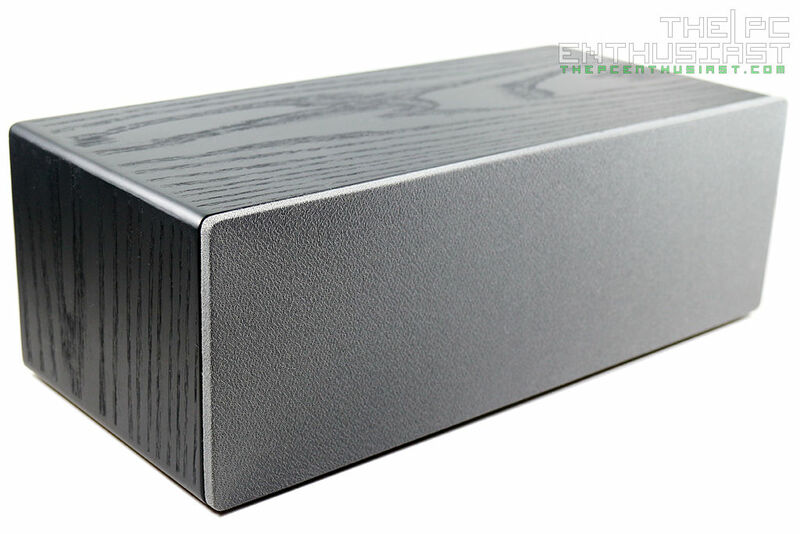 The result – the Audioengine B2 Bluetooth speaker. I’d like to thank Audioengine for providing the sample for the purpose of this review. 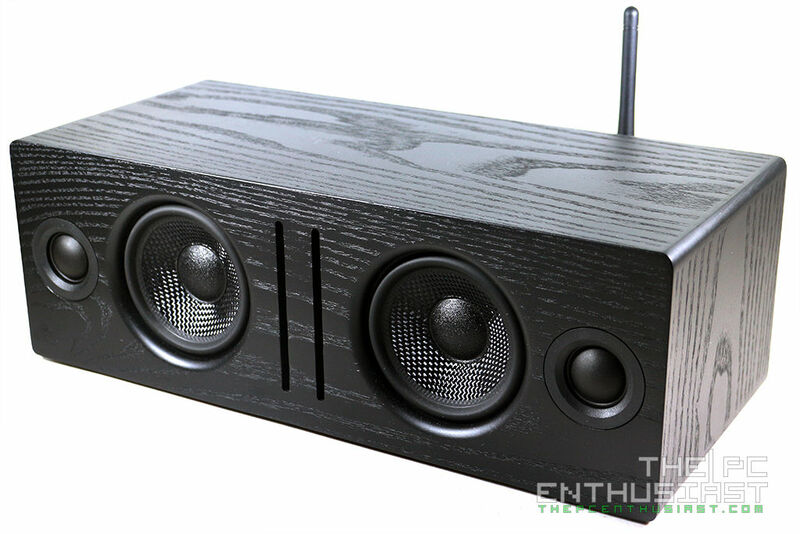 The Audioengine B2 premium Bluetooth speaker was announced by the company sometime in November last year. The B2 is actually the result when the company combined the B1 with the A2+ speaker. It features a nice looking wood cabinet that comes in three different colors: Black Ash, Zebrawood and Walnut. The unit that was sent to me is the Black Ash version. Are you in the market looking for a Bluetooth speaker? 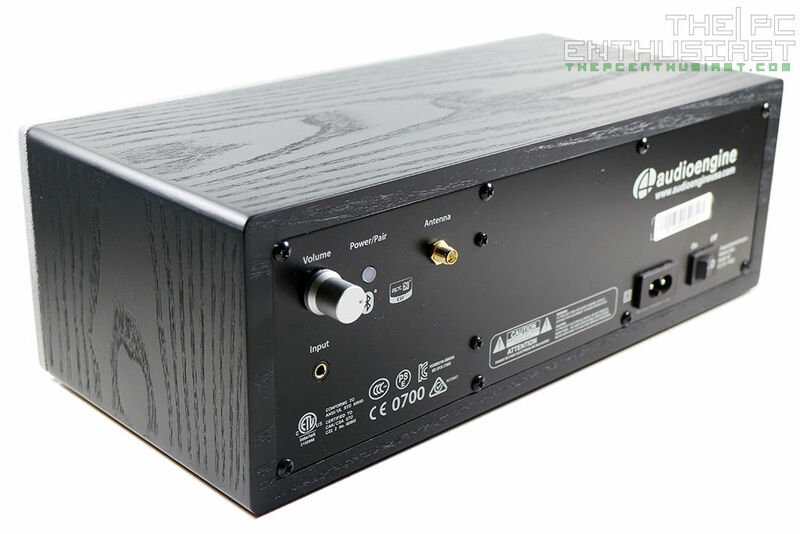 Please continue reading my Audioengine B2 review below and find out more about this product. 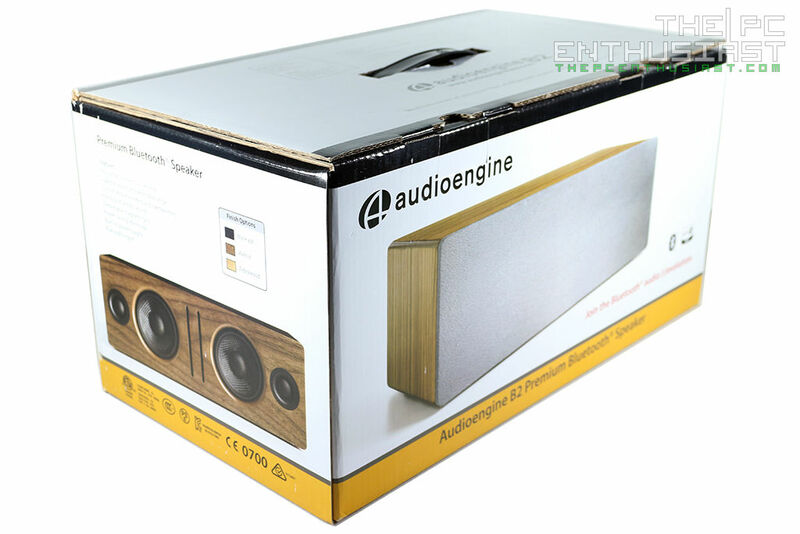 The Audioengine B2 Bluetooth speaker is basically a combination of the B1 music receiver and the A2+ powered speaker, but comes in a different form and packaging. 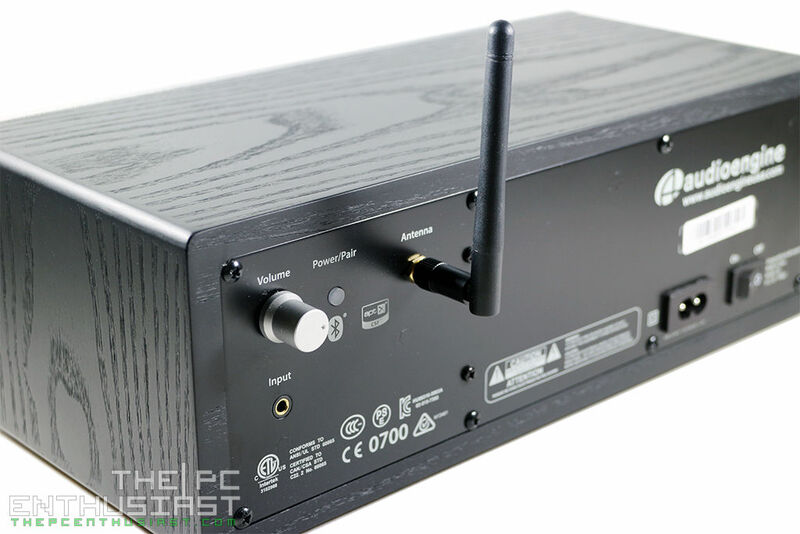 It has a built-in 24-bit DAC and aptX Bluetooth audio decoder, with extended wireless range. The company uses a 2.75” Kevlar woofers and ¾” Silk dome tweeters which are visible when the front cover is removed. The B2 comes in a rectangular hand-built wood cabinet that is available in three colors; Black Ash, Zebrawood and Walnut. It also features a dual front port slots for extended bass, but bass is not good as I expect. I’ll discuss more about its sound quality later. You can stream audio from any Bluetooth-enabled device to the B2 easily, whether it’s an Android device, an iOS, smartphone or tablet or even your laptop or PC with Bluetooth. If Bluetooth connection is not available, you can also connect the Audioengine B2 from any source via a 3.5mm audio connector. I’ll discuss more of its features as we take a closer look on the below. 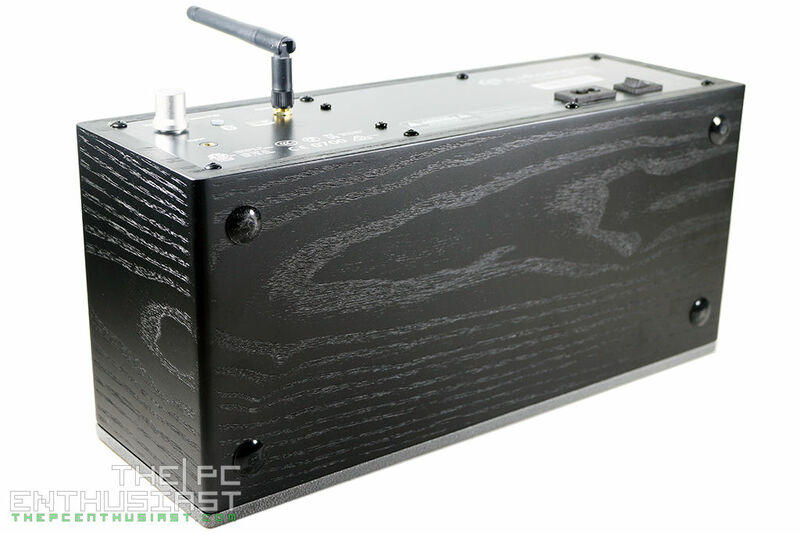 As expected from the company, the packaging of the Audioengine B2 is quite simple, yet very much presentable. 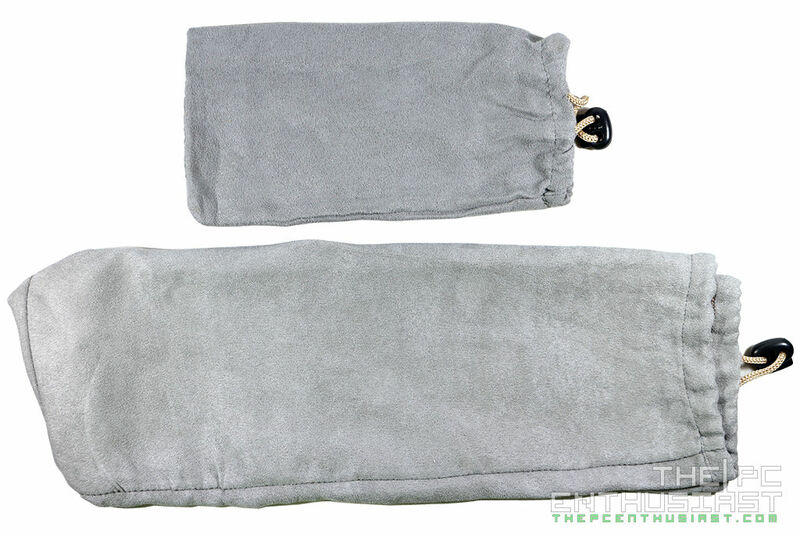 It’s also sturdy and the products, together with its accessories, are securely placed inside. The box comes with a plastic handle on top for easy carrying as well. The package includes the following: reading materials, two microfiber bags (one for the cables and one for the speaker), Bluetooth antenna, mini jack audio cable and a power chord. 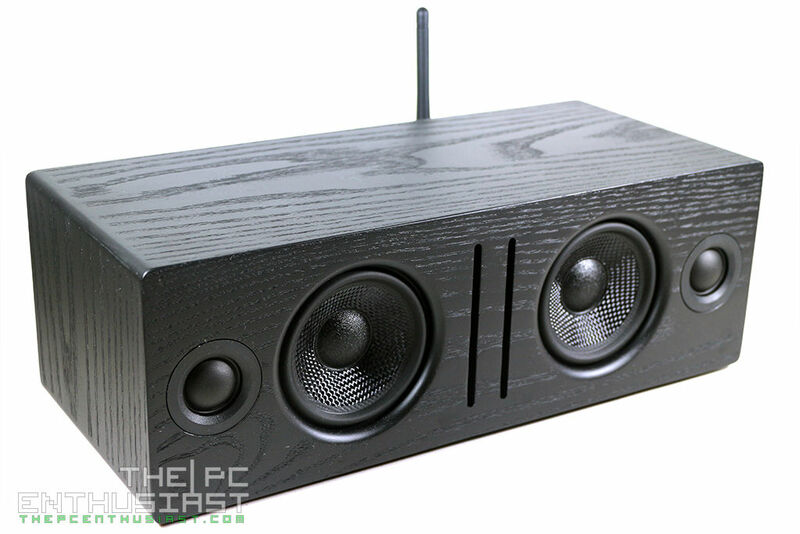 Here we have the front view of the Audioengine B2 Bluetooth speaker. It has a rectangular shape and the Black Ash looks really nice in real life. The speaker itself measures 4.25-inch in height, 12.25-inch in length and 5.50-inch thick. It’s also somewhat heavy, weighing 10 lbs or 4.6kg. It’s basically portable in a sense that you can easily carry it around. But it’s not portable enough compared to compact Bluetooth speakers. The front, top and sides looks very clean and neat. The front filter is removable and is being held by strong magnets. Audioengine placed the controls on the rear portion, leaving the front and sides plain and clean. At the back you can see the volume control, a pair button for Bluetooth that also serves as the power indicator, an Aux audio input (mini-jack), the connector for the Bluetooth antenna, the power on/off switch and AC power in. 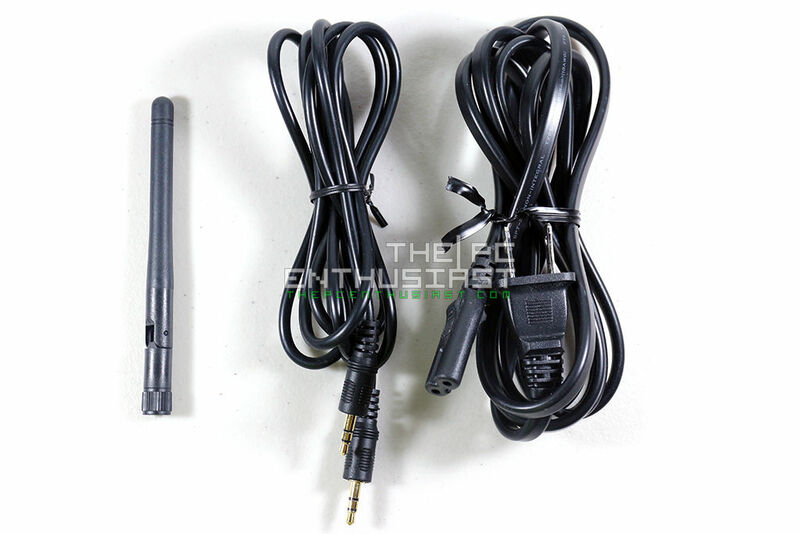 The Bluetooth antenna is very easy to attach or remove. Simply screw it in and set the desired position. If you are not using the Bluetooth, you may or may not connect its antenna. However, if you are planning to stream audio via Bluetooth, you must connect the Bluetooth antenna. Range is said to be up to 100ft. But that depends on the actual location of the speaker and the source. If there are many walls or barriers between the source and the B2, you may experience choppy signal or sometimes frequent disconnects. There is nothing much to see underneath the Audioengine B2, except for the four round feets which are nice and discrete. The front filter can easily be removed simply by pulling it away from the speaker. The filter is being held by strong magnets, really strong magnet, located on the top edge center and at the bottom left and right areas. Removing the front filter reveals the silk dome tweeters and Kevlar woofers. There are also two line-holes for air to pass through. Overall, the build quality in this Bluetooth speaker is superb. 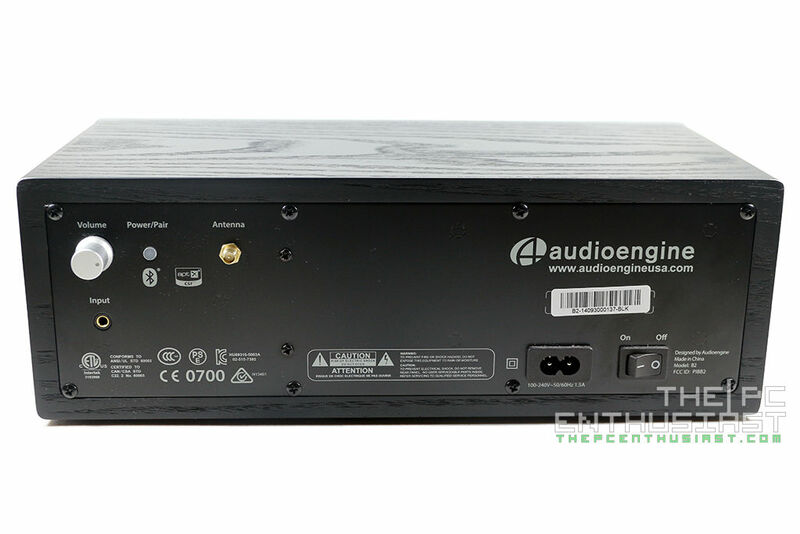 The Audioengine B2 is really sturdy, well built, and doesn’t seem to have any flaws physically. But how about its sound quality? I have been using the Audioengine B2 Bluetooth speaker for more than a couple of months now. Basically the drivers are properly burned-in before I start taking down notes regarding its sound quality. The out of the box performance wasn’t really impressive and it took my ears a couple of days to adjust from my Altec Lansing speaker. Using the Audioengine B2 was very easy and you don’t need some software or app, since there is none at the first place. Pairing with the B2 is relatively easy and fast as well. Simply fire up the Bluetooth on the B2, and enable the Bluetooth on your source device. You should be able to see a notification “Audioengine B2 Ready to Pair” on your source device. It only took a few seconds for my iPhone 5 or my laptop to detect and pair with the B2. Here’s an interesting part, I connected the B2 to my PC via the Aux cable, and then I also paired the B2 with my iPhone 5. So basically there are two input sources, one from the iPhone 5 and the other from my PC. I tried playing music on the iPhone 5 and then I played some movie on my PC. Guess what? Both audio went through and the B2 accepted both inputs at the same time. Of course the sound was not pleasing since two different sounds are overlapping from one another. 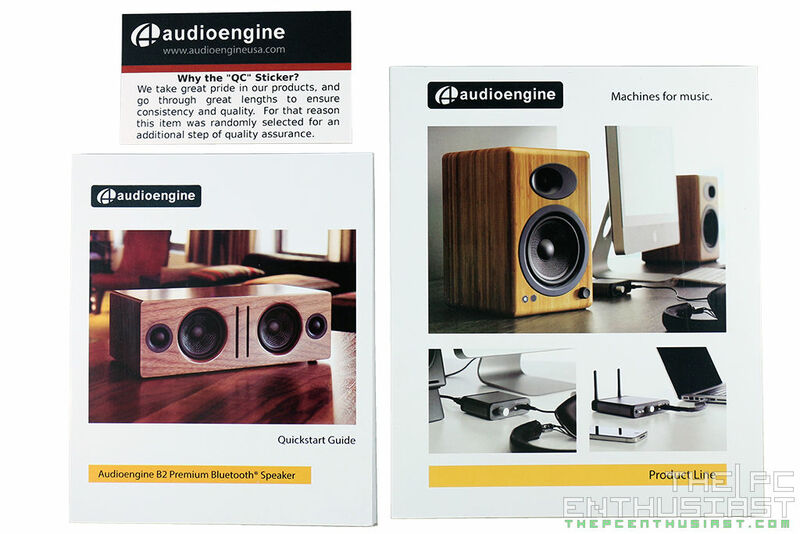 Sound quality wise, the Audioengine B2 sounds like the focus is more on the midrange. It has a decent amount of bass, but it does not extend well to the very low levels. The B2 doesn’t produce any roaring thunderous bass. Also at very high to max volumes bass tends to become distorted depending of the type of music you listen with. An example would be Lady Gaga’s Poker Face. The intro and first stanza where the bass starts to kick in doesn’t sound right at all. It doesn’t produce the kind of bass you get from a subwoofer. So for bassheads, this may not be for you. Now when it comes to mids, this is where the Audioengine B2 gets better. The voice of the artists sounds natural, very sweet and full of detail. I also noticed that when I listened to acoustics, guitars, classical, or something sweet and mellow, that B2 doesn’t have any problem delivering the sound at all. Despite the lack in bass, low-mids seemed to sound right as well. In the mid-section, sound is neither muddy nor veiled but not over emphasized. However, when moving forward to the higher level or frequency, it starts to sound rolled off. The high frequencies are not as bright and may lack that sparkle. Highs are not extended either so no amount of sibilance is present at all. Overall, I think the real focus of the B2 is in the mid-range. It may be good for most types of music out there, but for me it’s not good for EDMs, Dubstep, or any music where bass presence is much needed. 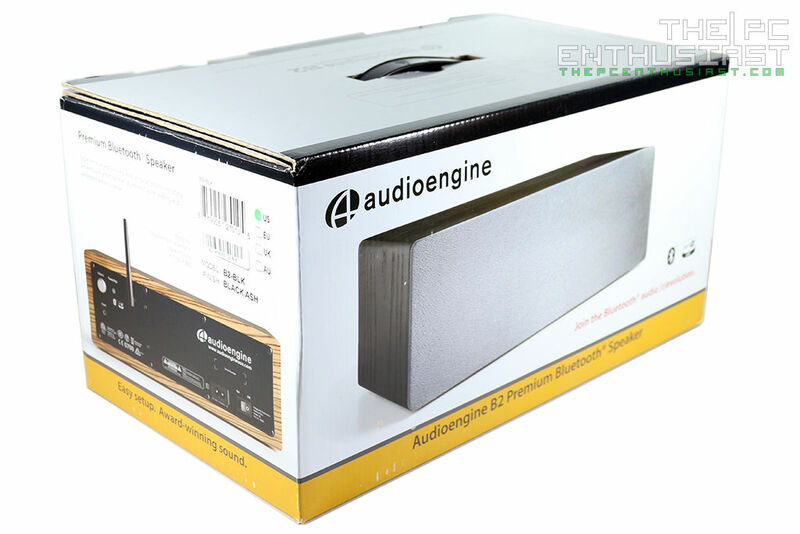 For watching movies or when gaming, the Audioengine B2 is also up for the job. We have been watching different movies and series with the B2 as only our speaker. Again mid-range is where the B2 is at its best. Explosions or deep rumbling sounds tends to lack power and kick, but conversations and other aspects of the sound from the movie or game are very much present. 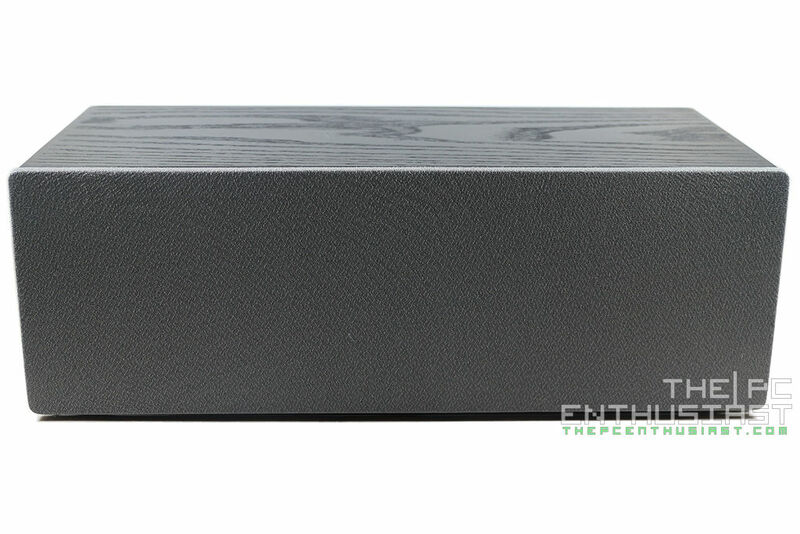 The Audioengine B2 Bluetooth speaker is very much available now. At the time I posted this article, it comes with a retail price of $299.00 here. Like I said earlier, the B2 comes in three different colors, so if you don’t like the Black Ask, there is still the Walnut and Zebrawood. It also comes with a 3 year warranty. Audioengine has another product that is worth looking at. 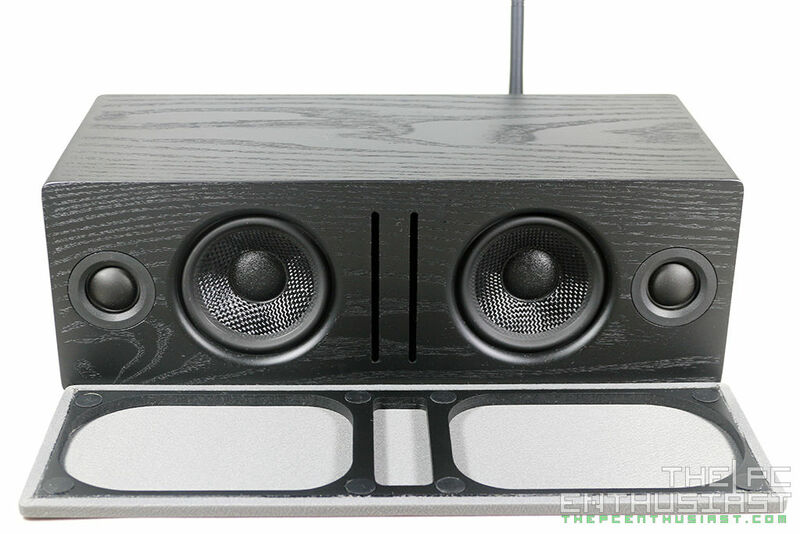 The Audioengine B2 Bluetooth speaker is a well-made product, very solid and sturdy and should be able to serve you well in the years to come. When it comes to sound quality it’s clean and the focus is more on the mid-range. Bass is present and natural, but it may leave you wanting for more. The overall tonality is neutral and doesn’t sound like it was tweaked or enhanced. If you are familiar with the sound signature on the A2+, they should be just similar. Bluetooth performance on the B2 is great as well and it didn’t disappoint me one bit. Audio quality is great even when streamed via Bluetooth. NVIDIA GeForce GTX TITAN X Revealed – Features, Specs and Price? Mostly Withheld!